Margins falling in gold, silver. Amidst strong positive cues of upward interest rate revision by US Fed following perceivable improvement in dollar, gold moved within a narrow margin during the week ended on Saturday. Hyderabad : Amidst strong positive cues of upward interest rate revision by US Fed following perceivable improvement in dollar, gold moved within a narrow margin during the week ended on Saturday. 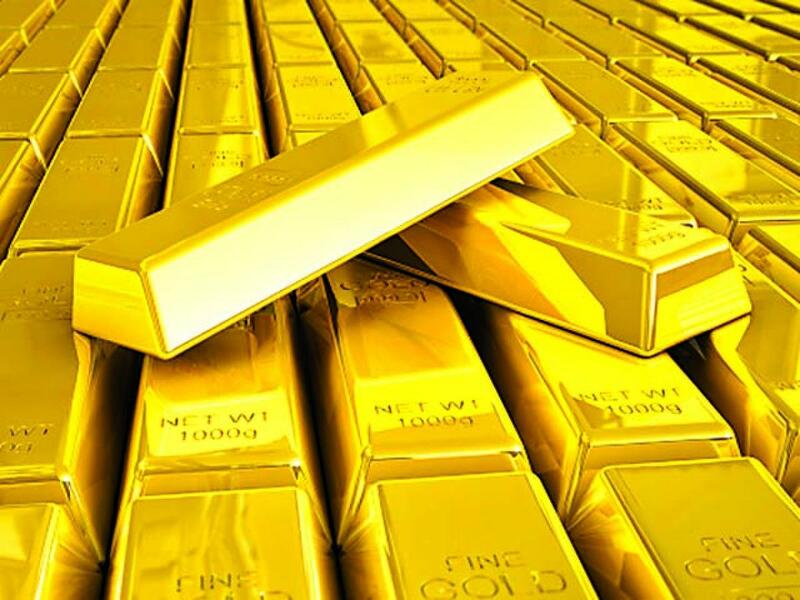 The additional demand for gold in the Asian countries is not likely to be in a significant measure because of erosion of exchange value of most of the Asian currencies including India. The imports, thus having become costlier the only other alternative route left open is through smuggling. This factor speaks for the increased gold smuggling in the recent times. Considering this fact, the vigilance authorities at home have tightened their belts and their added efforts seem to have yielded the desired results as could be seen from the figures of seizures. A steady trend in both the precious metals viz. gold and silver was noticed during the week. Both the precious metals moved within narrow margins during the week and in the final tally gold further declined by Rs 130 (per 10 gms). On the other hand, silver was up by Rs.200 (per kg). Standard gold (24 carats) closed at Rs 26,770 (per 10 gms) vis-à-vis Rs 26,900 in the last week. The ornamental gold followed the suit and was quoted in the range of Rs 26,130 – 26,230. Silver (0.999) stood at Rs 35,100 (per kg) against Rs 34,900 in the last week. The sentiment in principal commodity markets at the Osmangunj, Risala Abdullah, Mir Alam Mandi, General Bazar, Saroornagar, Bowenpally, Kukatpally and Dilsukh Nagar remained from moderate to strong. Staple food grains like wheat, rice, Jawar and Maize recorded small gains ranging from Rs 30 (per quintal) to Rs 50. During the week Tamarind and Tilseeds recorded a marginal decline due to lower demand while Chilies, Turmeric, Jeera, Garlic and Ginger appreciated marginally. Coriander remained unchanged for the third consecutive week. In Mukhtyar Gunj and Kishan Gunj cereals and pulses continued to be firm. The undertone in common edible oils remained moderate. Groundnut oil and its refined variant were moderate. Similarly, other common edible oils such as cottonseed refined oil, rice-bran refined oil, rapseed oil and soyabean oil also remained moderate. In perishables, the sentiment in common vegetables like onions, potatoes, tomatoes, cabbage, cauli flower, lady’s finger, donda and leafy vegetables continued to be strong. In Hyderabad, the NECC price of eggs remained steady throughout the week at Rs.295 (per 100).